When it comes to exploring Europe, sometimes there’s just not enough time. Between the bustling capital cities and small, off-the-beaten-path villages, it takes years to fully see everything worth seeing. A charming city like Antwerp, for example, needs at least a few days to really get a feel for just how wonderful the city is. However, if you just don’t have the time, guest contributor David Johnston from Travelsewhere, is here to tell us how to take a self-guided Antwerp walking tour. Belgium and its region of Flanders has no shortage of endearing destinations to visit. The northern city of Antwerp, while less popular than the nation’s capital, Brussels, or perennial favorite Bruges, is certainly proof of that. A cultural powerhouse, Antwerp’s most interesting elements are often found indoors or secluded within its modern outer shell. Rather than presenting a single image of a bygone era, Antwerp shows off fragments from various times throughout its prosperous past. As a major Belgian city, there are plenty of attractions to visit and things to see in Antwerp. 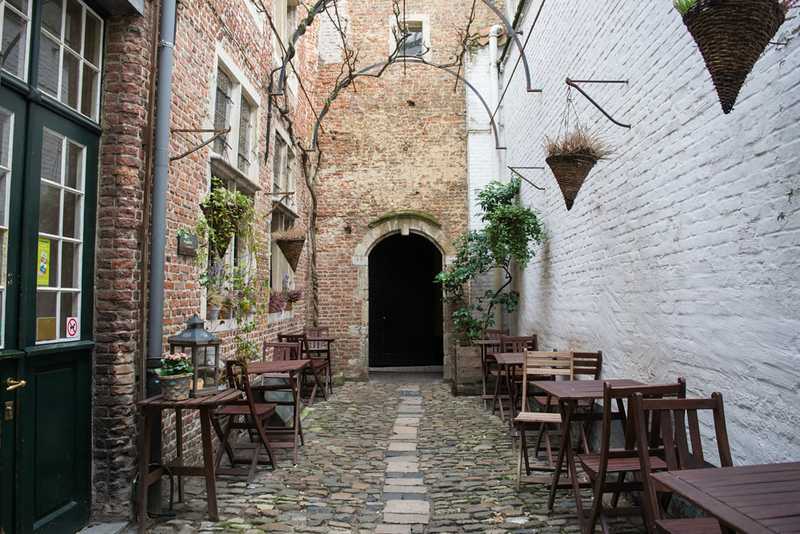 Belgium’s contained nature means a day trip to Antwerp is easily manageable but don’t discount spending the night in the city either (read reviews about where to stay). It’s definitely worth more of your time. Come along as I show you what to do in Antwerp. Antwerp may be a big city, the second largest metro area in Belgium actually, but the sights of the old town are easily navigated on foot. There’s no better place to start your time exploring Antwerp than with the city’s central square, Grote Markt. This magnificent square is where you’ll find the quintessential Flemish architecture that enchants many visitors to Belgium. The city’s looming City Hall makes quite the impression, as does the masterful Brabo Fountain before it, relating the fable of Brabo freeing the city from a menacing giant. Just a block away, try and uncover the hidden and painfully photogenic Vlaeykensgang Alley. An intimate alley that weaves through the middle of historic buildings, it also takes you past cafes you’d never find otherwise. You’ll find the entrance next to 18 Koornmarkt, although it is only open during the day. Next it’s best to work your way back around to another charming square Handschoenmarkt, full of more classic Flemish buildings, and Antwerp’s Cathedral of Our Lady. It pays to visit inside the cathedral as you’ll be treated to masterpieces by famed artists Quentin Massys and Peter Paul Rubens, plus a modern gleaming sculpture by Jan Fabre. Inspired to explore this beautiful city? Start your search for hotels in Antwerp with us. 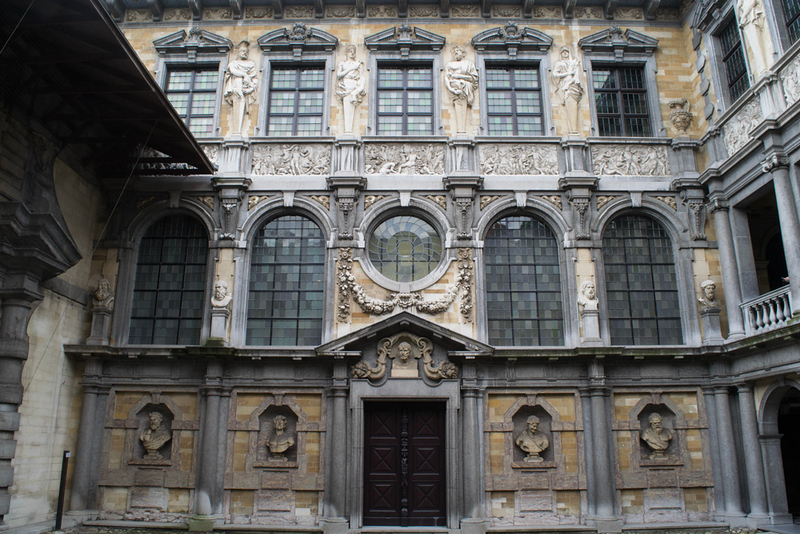 A city of culture, it’s hard to avoid museums and artists when visiting Antwerp. Combining the two is the Rubenshuis Museum, dedicated to everything Peter Paul Rubens and actually housed within the family home of Rubens. This way you not only get to see much of his artwork, but gain an understanding of his home life as well. The museum shows off Rubens’ works but also those by students that worked in his renowned studio. Alternatively, what about visiting the only UNESCO heritage-listed museum in the world? 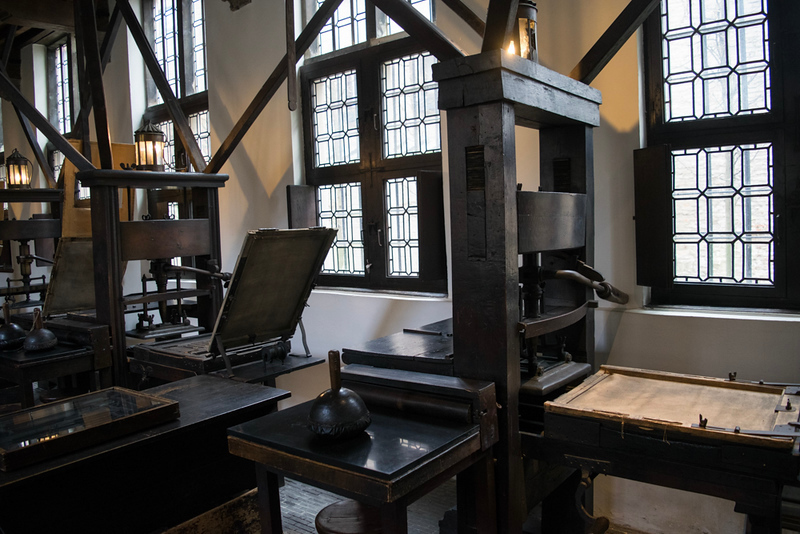 Yes, Antwerp is home to the truly unique Plantin-Moretus Museum that highlights the history of the printing press inside a 16th century mansion. The museum holds not only some of the oldest remaining printing presses, but antique books and documents as well. Purchasing an Antwerp city card saves you money, including free entry to all of Antwerp’s museums. 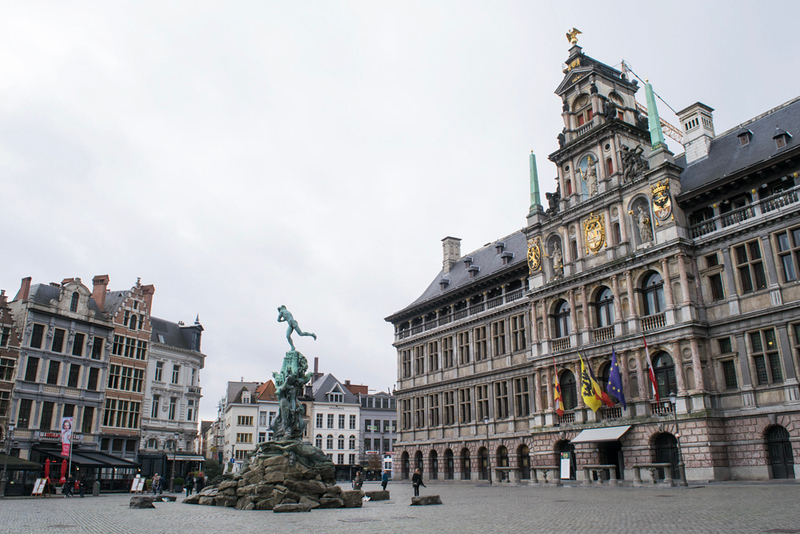 Along the sides of each of Antwerp’s main squares, as well as along streets like Koornmarkt you’ll find umpteen varied possibilities for a quick bite or more substantial hot lunch. Of course, this is a perfect chance to indulge in a classic Belgian treat such as waffles or frites from a cart or frituur. While picturesque, the buildings around Grote Markt and Handschoenmarkt aren’t really a fair representation of Antwerp’s look. In reality, the city has quite an eclectic mix of looks and it’s worth a little walk to see how mixed it can get. If you simply walk the blocks between the city’s cathedral and Rubenshuis Museum, you’re sure to see exactly what I mean. There’s the grandeur of the Paleis op de Meir balanced against the colder, functional Art Deco style of the Boerentoren high-rise. 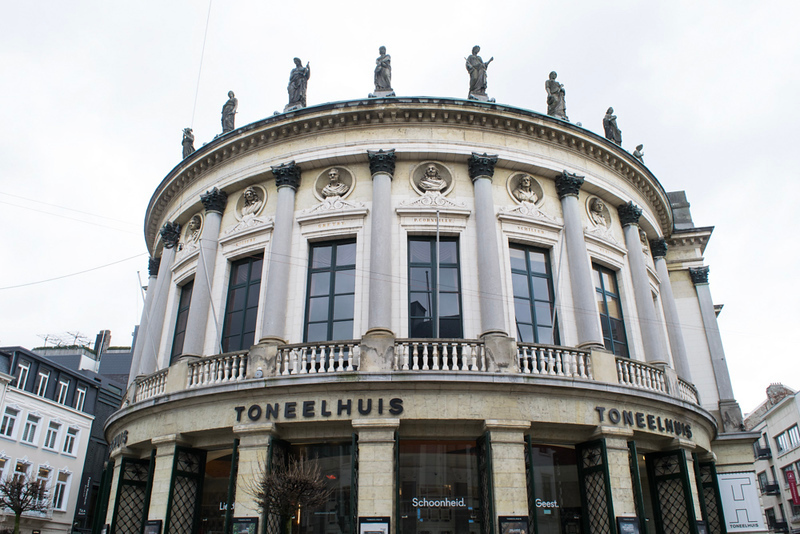 It’s hard not to be impressed by the neoclassical charm of the Bourla Theater nearby as well. If you’re not interested in walking too much more and are keen to see another, equally striking church, then head for the Saint Carolus Borromeus Church. Featuring a wildly different interior to the Antwerp Cathedral and incredible woodwork, the church is sure to leave an impression. 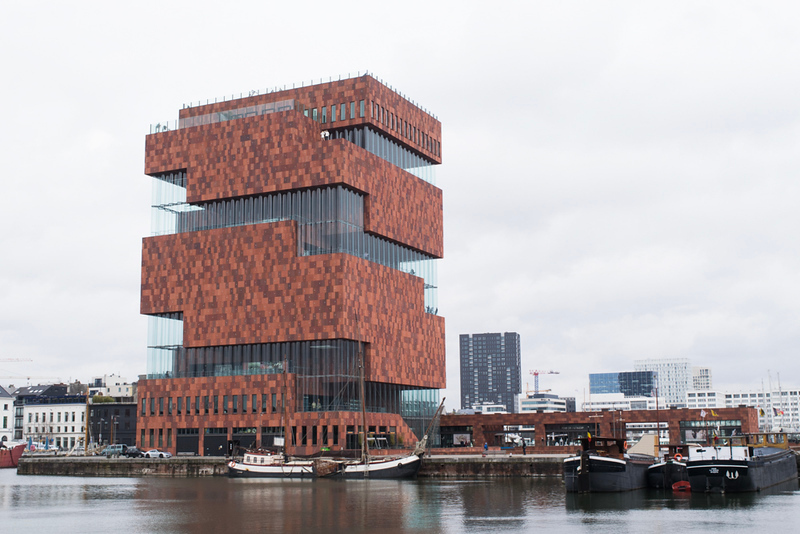 Possibly Antwerp’s greatest modern architectural addition, the Museum aan de Stroom by the docks is already an icon. Opened in 2011, the MAS as its known, is more than just an intricately designed building though. Inside, the museum hosts a whopping 9 floors packed with temporary and permanent exhibits that hit upon some pretty unlikely topics. Although a look at the Port of Antwerp is to be expected, less so is the exhibit dedicated to the art of Pre-Colombian America. Even if you’re not interested in taking in the museum’s exhibits, seeing the museum’s architecture and the free rooftop views are well worth the trip out there. Once you’ve seen the panorama, instead why not go window shopping (or shopping-shopping) in Antwerp’s Diamond district? After all, the city is known as the “diamond capital of the world”. The district is found on the western side of the Antwerp Central Station, which by the by, is also well worth a quick look around. Surely when in Belgium, one must taste some Belgian beer! The biggest challenge though with trying Belgian beer isn’t finding a good beer cafe or pub in Antwerp’s city centre. No, the challenge is usually navigating the lengthy list of beers available to you. One of the easiest ways to cull the herd is to seek out local beers, which in Antwerp includes De Koninck as it’s brewed in the city. Seefbier is another high profile local drop, although you can always go for a national classic like Westmalle or Chimay. After a drink or two, it’s time to explore Antwerp’s culinary scene. Given that it is the world’s 2nd most multi-cultural city, it should be no surprise that you can taste all sorts of cuisine in the city. If you’re after a truly memorable evening, then seek out The Jane, a refined restaurant with 2 Michelin stars set inside a chapel. Maybe a little more accessible price-wise are restaurants like Bún for Vietnamese and Middle Eats for Israeli cuisine. Foodies will enjoy an evening stroll on a self-guided city and food tour. Plan ahead by purchasing your ticket here. 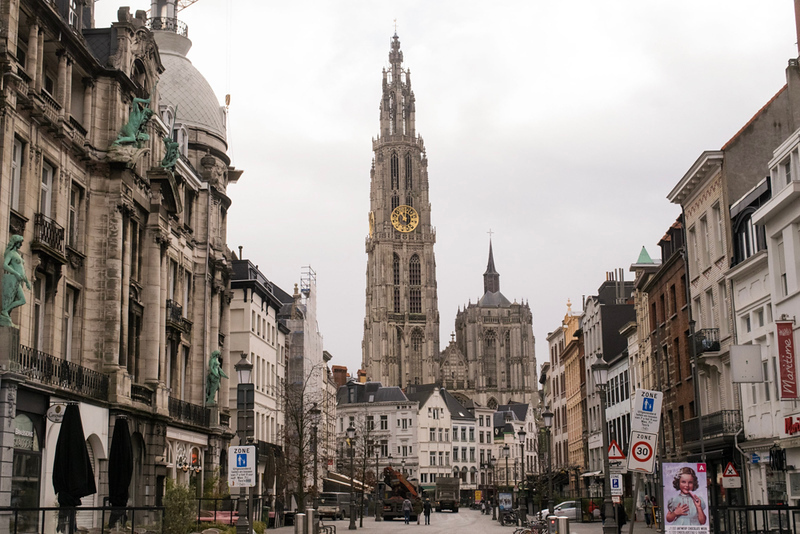 Have any more ideas for a self-guided tour through Antwerp? Come join the conversation at the My Itchy Travel Feet page on Facebook. Or send us an email with your thoughts.